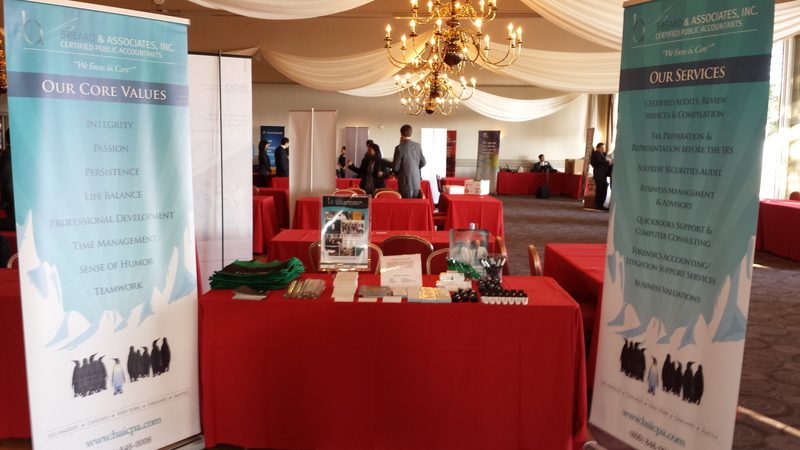 CSUN’s Meet the Firms Event - Breard & Associates, Inc.Breard & Associates, Inc.
BAI was represented at this fall’s 2013 CSUN’s Meet the Firms event, held at the Odyssey Restaurant in Granada Hills, CA. Representing us was Ali Nejad, Nancy Enriquez, and Francisco Vazquez. They spoke with a number of bright students regarding our fall internship positions. They had a great time at the event, and look forward to the spring event. Look for our booth at future events.